The stock market continued to gain strongly last week. On the Ha Noi Stock Exchange, the HNX-Index jumped 4.4 per cent compared with the previous Friday's close to 87.04 points. The average trading value and volume reached VND3 trillion (US$141.7 million) and 165.8 million shares. On the HCM City Stock Exchange, the VN-Index added 2.7 per cent to end at 636.65 points. Trading value averaged VND1.1 trillion on a volume of 87.7 million shares daily. In some of the first trading sessions last week, profit-taking took place, weakening the indices' increase, but the selling pressure was not widespread and buying power in general was retained. Investors watch index developments at IRS Securities in Ha Noi. The VN-Index jumped 2.7 per cent to reach 636.65 points last week. Shares of the oil and gas sector joined those of real estate, pharmacy, rubber and blue chips to lead the market. On Friday, large-cap stocks such as those of PetroVietnam Gas (GAS), property developer Vingroup (VIC) and Vietcombank (VCB) assisted the VN-Index. One of the sources of support last week were foreign investors, who were net buyers on the southern exchange. Their net purchases reached nearly VND913 billion ($43 million), largely because of VIC buying activities. However, they were net sellers in Ha Noi. 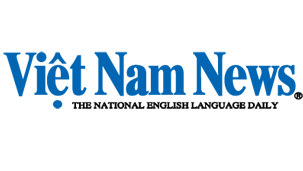 "The VN-Index is testing its resistance of 635 points," said FPT Securities Company's Le Thi Bich Hang. With high liquidity, a positive investor sentiment, repeat purchases of foreign investors and favourable economic factors, Hang predicted that the market would maintain its momentum this week. However, if it reaches another resistance point at 640-650 points, trading could become rocky. "Short-term investors may consider selling if the index comes to 640 points, while medium- and long-term investors should buy after that," she said. The economy has signaled recovery. The consumer price index in August rose by 0.22 per cent compared with the previous month, a 4.73 per cent increase over that of the same period last year and a 1.84 per cent increase compared with that of last December. This has been the lowest rate in the last 13 years. Meanwhile, a number of banks have reduced their deposit rates. On August 25, Vietcombank reduced rates for deposits in the dong by 0.2 per cent. 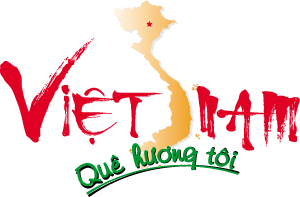 The lowest deposit rate belongs to the Bank for Investment and Development of Viet Nam, with a one-month rate of 4.5 per cent per year. Banks are also expected to reduce lending rates in the coming months.